Password Protect Your USB Drive with USB Safeguard. | Kanishk's Technical Blog. Password Protect Your USB Drive with USB Safeguard. Today, I'll teach you all one trick to Set Password to Your USB Pen-Drive so that no one can access the files except you.Actually my way doesn't sets password to your drive but to your files.We'll use one file encryption software to carry out this tutorial.This Software encrypts all your files on the USB Drive and you can only access them through the password you have set for it. Earlier, I have posted one similar trick to password protect your USB Drive with Rohos Mini Drive software.You Can View that trick Here.But I got replies from readers that the software didn't worked and they had a difficult time doing it properly.So I have come up with this tutorial.This tutorial is absolutely easy and I promise you won't face difficulties password protecting your USB Drive. USB Safeguard is a portable software program to encrypt and protect data with a password on your removable pen drives using the AES 256 bits encryption. The main purpose of using a USB pen drive is that you can bring your data with you wherever you go. But if you lose your USB pen drive your data also lose. This is dangerous if you have confidential files stored in it. Protect the pen drive with a password. USB Safeguard offers users (novice and expert) a friendly yet extremely powerful security solution that fully protects valuable data stored on USB pen drives. Also, the program has a useful feature that allows you to enter your email or phone if you lose the pen drive. Free version works only with USB Flash drive of size max 16 GB. Now,That you have learnt What is USB Safeguard,its time to learn How to Use it? 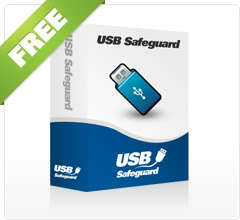 To Download USB Safeguard Software Click Here. First,Place the USB Safeguard Software in Your USB Pen-Drive. Now,Double Click Open on the USB Safeguard Software.A New window will open Asking You to enter a New Password and then Confirm the Password by writing it again in the next line.As it is the first time you are using USB Safeguard,it asks you to set a New Password. "Do You want to store your password in a file?" I recommend Click the YES Button.That will store your password in a Text File in your Documents Folder. NOTE : Use this option only if you are on your Home Computer and not a on a friend's computer. Now,After Clicking SAVE Button,Your USB Safeguard Panel Will Open with the list of the files stored on your USB Drive. Now,To Encrypt You Files,Just Drag & Drop them into the Files to be Encrypt window and then Select the files which you want to encrypt and then click the ENCRYPT button.If you want to Encrypt all the Files at Once,Just Click the ENCRYPT ALL Button. After You Click the Encrypt All Button,a File Shredder Dialogue Box will open asking you How do you want to encrypt the files? 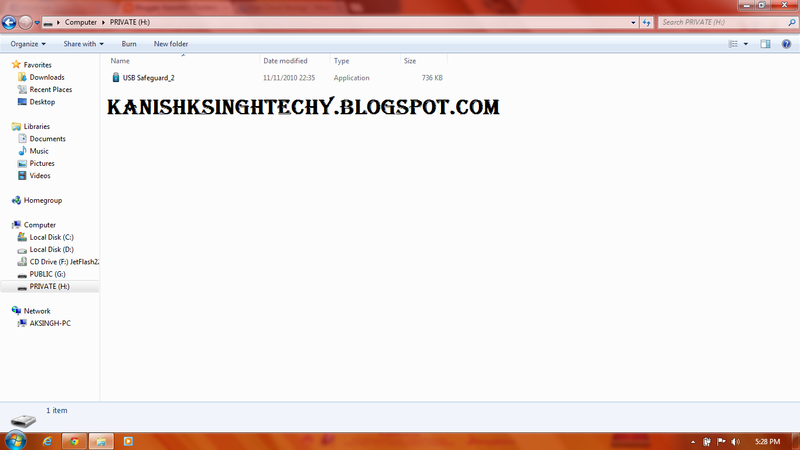 -> The Files are not deleted and Remain visible and accessible. -> Deletes and Overwrites files with the hexadecimal value 0x00.This option provides good data security in a minimum amount of time. I recommend you all to choose the Zero Out Data option because it takes less time and secures your files within minimum amount of time. After you choose the Zero Out Data Option,click the OK button.Now,Your USB Safeguard will close. Now,Your Files Will be safely encrypted and whenever you wish to view your files back and if you want to decrypt them for your use. Just Open the USB Safeguard which is in your Pen-Drive and then it'll ask for Password. Now,Just Enter Your Password and the USB Safeguard Panel will open containing your Files and Folders that you encrypted last time. Now,If you want to decrypt your files,Simply Click the File Name You want to decrypt and then click the DECRYPT button.If you want to Decrypt all files at once,then click the Decrypt All button. After You Click the Decrypt or Decrypt All button,USB Safeguard will Decrypt the files and then,your files will be visible in your USB Drive. So Here,our tutorial ends and I hope you all like it and enjoy it.All the Best Password Protecting your USB Drives. For Any Problems/Doubts comment below. Superb specification of this usb protector tool, i cant wait to try it now.